Aircons are probably one the most indispensable appliances in the modern world today. With global warming on the rise, choosing the most appropriate aircon for your home becomes more of a priority than a luxury - especially when you’re in Singapore. The climate here is very erratic and to add to that there are no distinct seasons making it harder to predict the type of cooling required. To address this issue, we’ve come with a deep, part of by part buying guide to help you make the right choices. Without picking into brands and models, we’re going to dissect into the components and focus more on the functionality. Cooling requirements - Generally addressing the area and the working conditions. Power Consumption - Calculating and dealing with your energy savings and expenditure. Before you zero in on a particular type of an aircon, it’s better to have a background of what's on offer in the market. Each system offers unique advantages over others that fit various specific needs to a greater or lesser extent. Direct Download: Usually found in the split or window forms, these aircons are ideal for all kinds of applications. It also has the ability to cool the environment pretty quickly. A notable product in this line would be the Carrier five stages split type filtering aircon. This system improves air quality around you by disposing particles of mold, mites and other allergens. In other news, the firm also launched the Split team Xpower with an additional Inverter which saves up to 40% energy without having any harmful impacts on the ozone layer. Air conditioning Ducts: When pre planned, aircon ducts can be supplied to every unit of the apartment by laying out duct injections and return grilles in different locations. 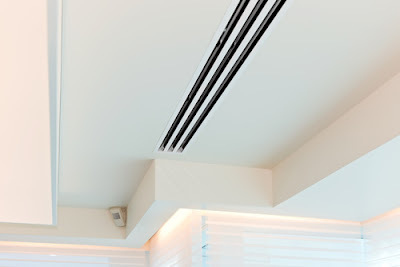 This allows an even distribution of air in all environments, greater energy savings and an optimal use of space since the grids are generally hidden in the ceiling. As for the calculation pertaining to heat requirements, it is advisable to use a thermal balance. If you use a thermal balance then you can know the effectiveness of this and you would be satisfied at the effectiveness of a thermal balance. It is important to know what your device will consume depending on your needs. More importantly, you’d want the device to turn off once the optimal temperature is achieved. The power of the equipment is determined by the square footage of the room. For example, for a room of 30m2 we need an apparatus of about 3,48W / h 4,65W / h respectively. To know the consumption of the appliance, look into energy efficiency labelling of the model. Now, when you’re out shopping for your device, you’d obviously want to choose a system that is efficient. After all, you’re going to save on electricity bills, and contribute positively to the environment. 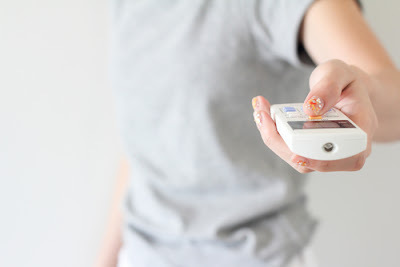 To calculate consumption of the appliance, you have to divide the power rating of your device by the SEER code (to produce cold air) or the SCOP (to produce hot air) - depending upon the requirements. Calculate approximately 100 to 140 kilocalories per m2, depending on whether your house is more or less protected from the cold and heat. For example, in a room of 20 m2 facing south, located in a region where temperatures often exceed 30 degrees, try calculating 140 kilocalories per m2. The result would be 3250W or 2800 FR. Remember, during the evenings you don't really require the same level of cooling. 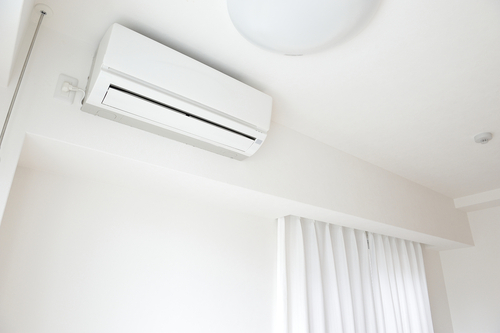 Take a stab at turning your AC down amid your rest hours or a hour or two preceding bed. The cellar is generally the coolest room in the home, so it would make sense to shut down all the vents in the lower part of your home. The cool air will lurk down there actually and by shutting those vents, you're driving all the air up top. Always keep your ducts in check. By constantly keeping in check with the vents and protecting them, you can be sure that the air coming in is as cool as it can be. Paying for half cool air isn't anybody's concept of cash well spent! Place your furniture with adequate gaps for better cooling effects. Furniture that hinders aerating and cooling vents implies you could cool the back of a seat or the base side of your couch and despite running your aircon at highest cooling settings. It’s okay to revamp things once in a while. Don’t ever leave your aircon on when you’re away - this is a common habit that burns many pockets around the world. The least you could do is to ensure the windows and curtains are shut. In spite of the fact that it will be hot for a couple of minutes when you return home, the blinds will keep out the sun out, so all that cooling at least won’t be for nothing. If you’re not really sure about what you’re doing, it's always better to consult an expert and invite them over to your place for a survey. They take into account all the variables that contribute to a suitable cooling temperature and suggest the best equipment according to the area and habits of use. Also, do a good research online. Setting up an aircon system at your place is a big step - and it's expensive. Make sure that you make it count.